Alfred's Diner is quite literally a hole-in-the-wall, a place easily overlooked unless somebody tells you about it. I found it by accident one Saturday morning, as I sat drinking coffee at another place across the highway. The constant stream of people heading up that driveway had me intrigued, so I had to investigate. Step through the gateway and enter a world of peace and tranquillity. With a seductive laid-back vibe, the place attracts an eclectic mix of people, from surfer types, to the preppy, and even young mums. It's the kind of place where people are happy to share their table with you, or you can sprawl out across huge rugs laid out on the EcoGreen synthetic lawn. 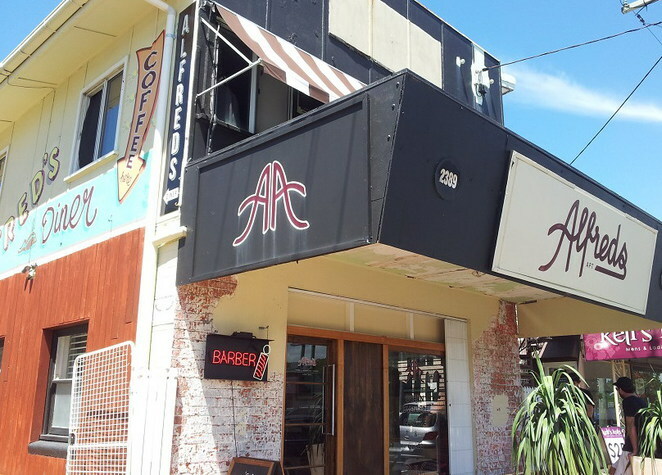 The increasing number of quality coffee shops popping up in Mermaid Beach and Miami is remaking this part of the Gold Coast into 'coffee central'. 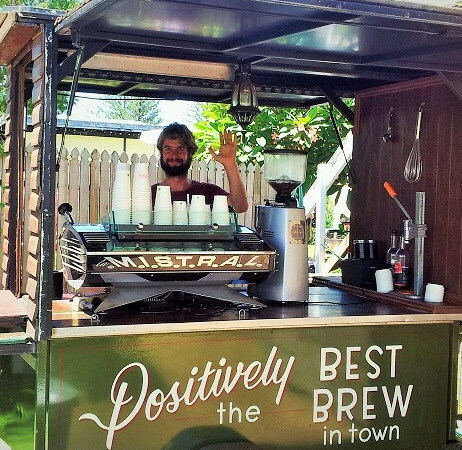 Moonshine Coffee Roasters in Byron Bay produce Alfred's signature blend. Without giving out the secret, they make it from coffee beans sourced out of Brazil, Kenya and Ethiopia, with a little k7 to keep it local. I can personally recommend ALFRED'S ROYALE WITH CHEESE. 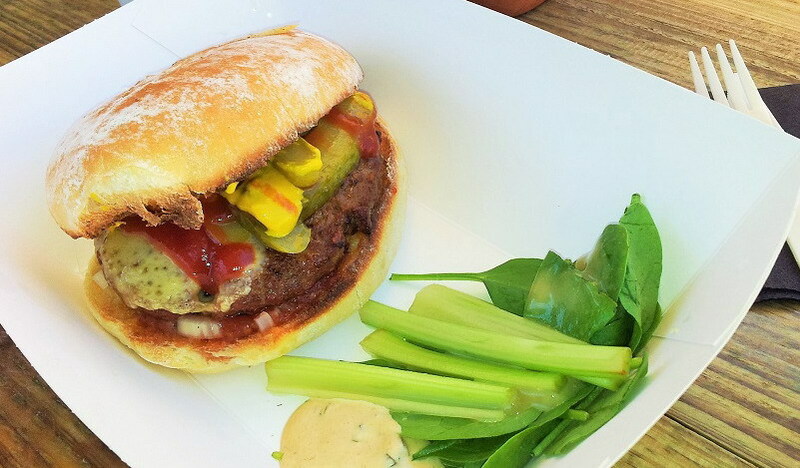 W/ Wagu beef patty, Swiss cheese, diced brown onions, pickles, American mustard & house tomato sauce. Served with a side of celery and house ranch. $12. In 2012, Paul's sons became the second generation of Neilsen brothers to share a common vision. Pooling their talents and resources, the young guns created Alfred's Apartment – a hip and eclectic gentleman's clothing store – that has since expanded to encompass Alfred's Barber and Alfred's Diner. The current owners of Alfred's Apartment are brothers Kris, Danny and Matt, with the addition of David Nicholson who brings the coffee shop expertise to the mix. - A diner, with gourmet coffee and value-packed Americana burgers, burritos & hot dogs. Located on the highway, between Alfred St & Seabeach Ave, across the road from Mandarin Court restaurant. 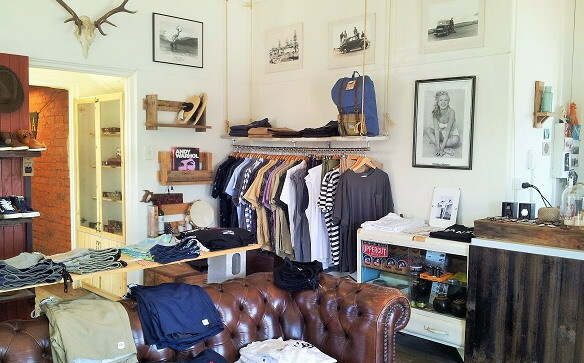 For off-street parking, try the little shopping centre on the corner of Alfred Street.